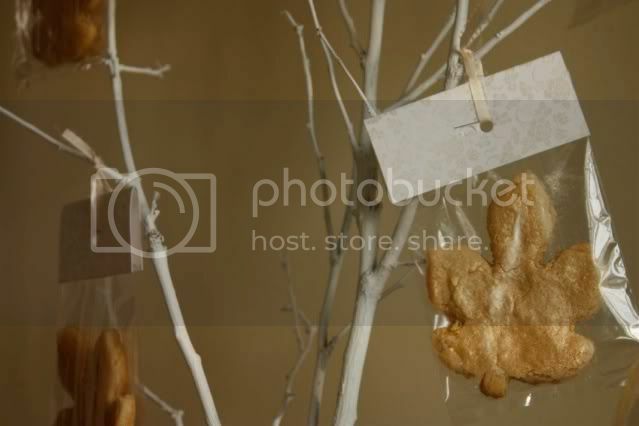 I love the birch wood branches with hanging leaf cookies. Kathleen is a "gourmand from Chicago, IL. with an eye for all things sweet and beautiful. 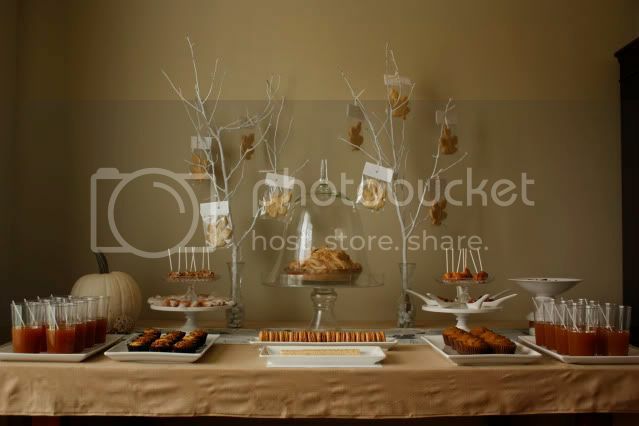 She creates wonderfully designed and decadent dessert tables for business and personal events." 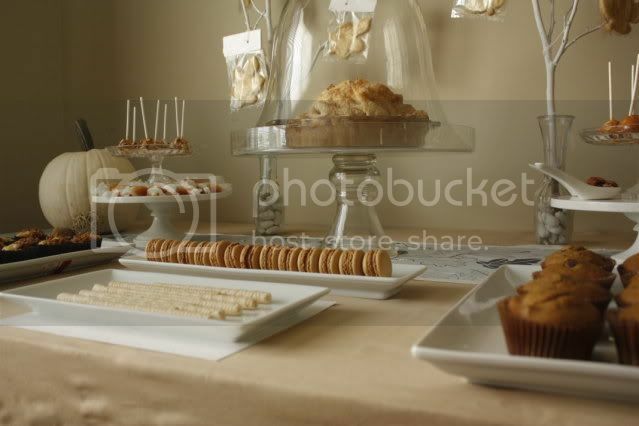 These last two photo's are of a different dessert table that Sweet Table Chicago styled. Beautiful. Very nice, so relaxed and yet so well done. Makes you feel comfy just looking at it. beautiful. 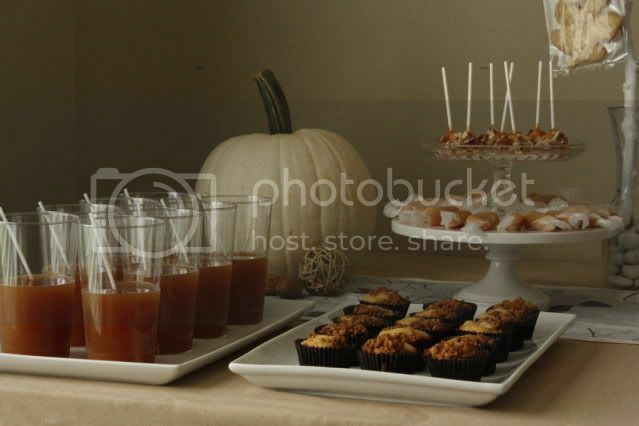 i love fall themes. totally beautiful! 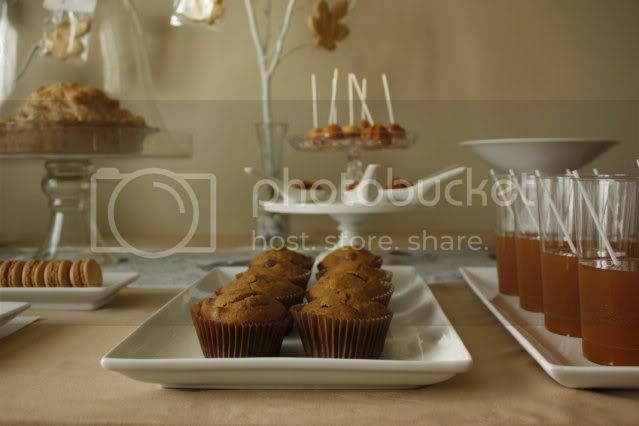 thanks for featuring this lovely table. 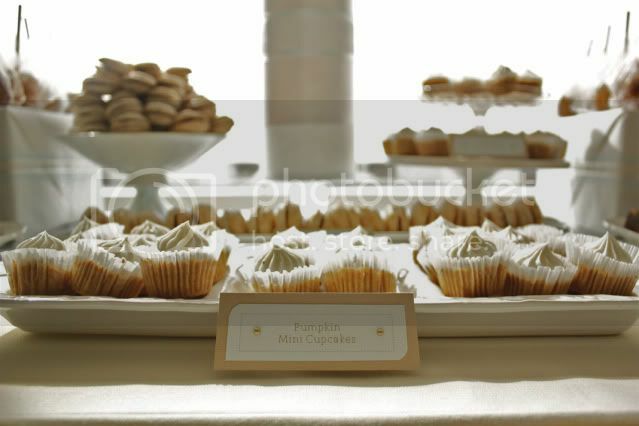 Can I get the recipe for the mini pumpkin cupcakes! 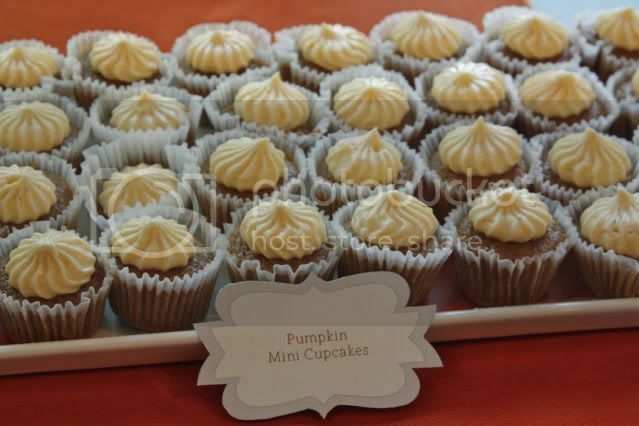 They look so YUMMY!